The best deal you will find on a parenting magazine is available today! 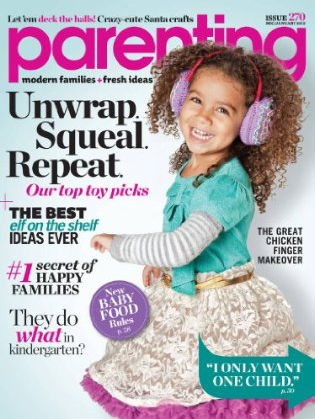 Get TWO years of Parenting Magazine (Early Years) for $4.50. Just use the code CHEAPSKATE at checkout before 11:59 p.m. EST on Tuesday, May 14, 2013. This works out to just 20 cents an issue! Parenting Magazine (Early Years) covers all aspects of parenting your child through age 10 – including psychology, food, health, fashion and toys. It shares tips and articles to help you balance the demands of child raising, personal growth and family life. Note: This deal is only available to new subscribers and only available TODAY, so if you already get this magazine, consider giving this as a gift for a new mom.